WiFi and access to a business center. 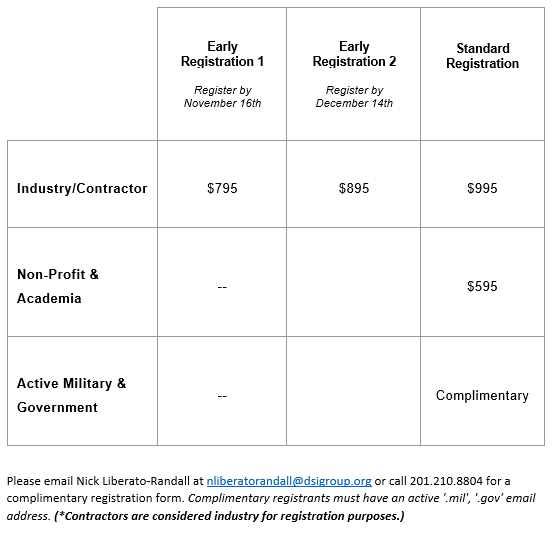 If you are a small business that would like to attend but budget is a concern; please contact us directly to receive our small business discount: Email Nick Liberato-Randall at nliberatorandall@dsigroup.org or call 201.210.8804. In the case that the event is canceled or postponed due to unforeseen circumstances, you will receive a credit of your registration fee that can be applied to the new dates of the event or any future event. DSI has a no-solicitation policy covering all of our events. In order to provide a distraction-free environment for our speakers, sponsors, attendees, and employees, we do not allow solicitation at our events by attendees or unauthorized parties without the express written permission of DSI.